What intrigues men about women? Is it their eyes, their curves, their tresses or is it their ability to transport them into trance and make them forget about the worldly sufferings? How does a man feel without a woman? Does it break a man when he loses a woman who was not even “his”? 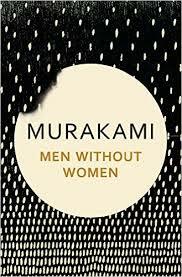 Murakami delves deep, very deep into the lives of men who at some point of time have lost the woman in their lives. His men are quintessential urban men. An actor, a successful doctor, a married man who finds out about his wife’s extramarital affair or a lad in his early twenties -all of them with a woman in their life but still without women in a way. The seven great stories are woven around some very ordinary men and women. Kafuku is an actor and hires a woman to drive his car in spite of his apprehensions about female drivers. Dr Tokai, a successful cosmetologist, after having lost the count of women he has dated, falls in love. Kitaru, a confused young adult wants his girlfriend to go out with his best friend. Habara’s only window to the world outside is Scheherazade who comes once in a while and tells him stories. Kino’s ordinary life turns upside down to find out about his wife’s affair with his colleague. Gregor Samsa is in love but does not know what that means. The realization of being without women comes down hard on them and rightfully claims a piece of their life. The women in these men’s lives are not picture perfect always, not beautiful by the general standards associated with beauty. These are average women with flaws. They do not make an effort to conceal those flaws. There is something mystical about those flaws and their effortlessness to hide them. Murakami’s books are not the ones to be read while travelling or in a café. His books are to be devoured in the peaceful confinement of your rooms. His lines are to be read and re-read until their essence goes deep into your senses. His description of the characters is to be visualized lovingly. His stories are to be stored in the deep closets of your memories only to be pulled out once in a while and smiled upon. Men Without Women was originally written in Japanese and translated to English by Philip Gabriel and Ted Goossen. Translated works always run the risk of losing the essence of original works or lack the depth. This one, however, has retained the distinct characteristics or Murakami’s writing. I received a free copy of this book from Flipkart for an honest and unbiased review.